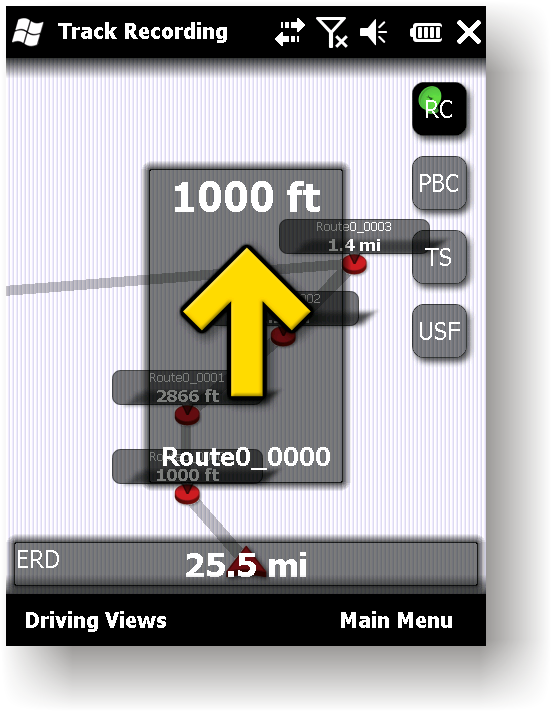 Route guidance in 3D view, makes navigation processes very simple and intuitive. 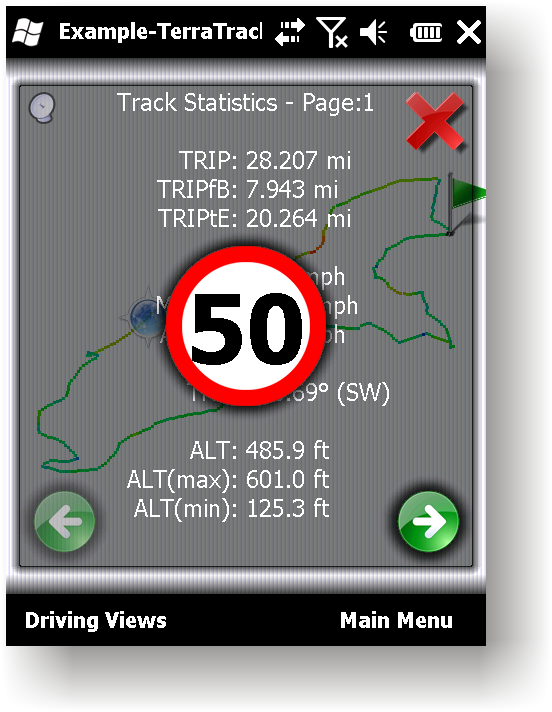 Recorded Track: Statistical analysis of track point information. Track recording. Full NMEA-0183 format compatibility. 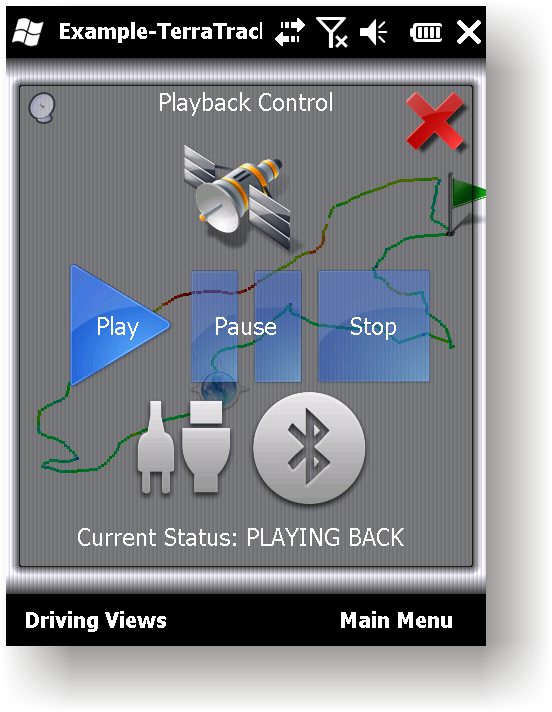 Playing back to your desktop PC's NMEA-0183 Navigation software (Microsoft Streets and Trips 2010, Google Earth and many others). Virtual Serial Port (COM port) Driver for playing back at the same Windows phone. 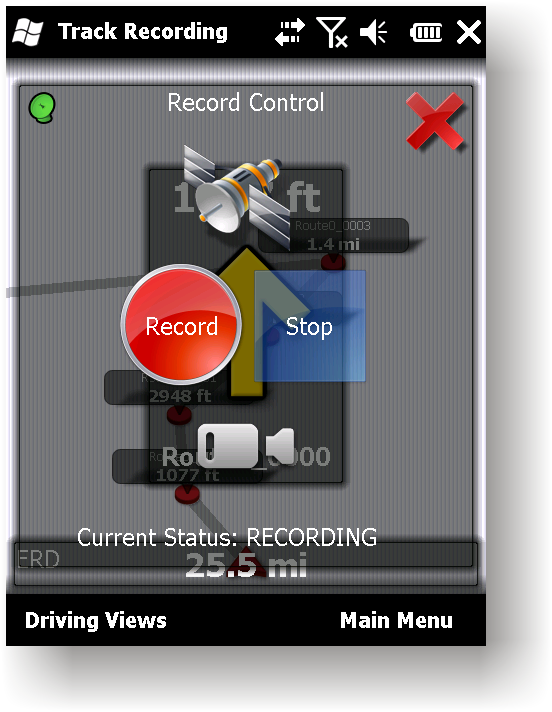 TerraTrack Recorder 7 CAN NOT CALCULATE A ROUTE BASED ON A MAP AUTOMATICALLY. Before you can navigate you have to draw a route. For example you could use Google Earth or Google Maps for a route calculation. After that you save the route in the .KMZ or .KML file and open the file in TerraTrack Recorder 7, the route will be saved in the destination data bank and could be used for navigation. Copyright © MMVI-MMX Valentin Tkachev, TerraTrack Records & Co. All Rights Reserved.